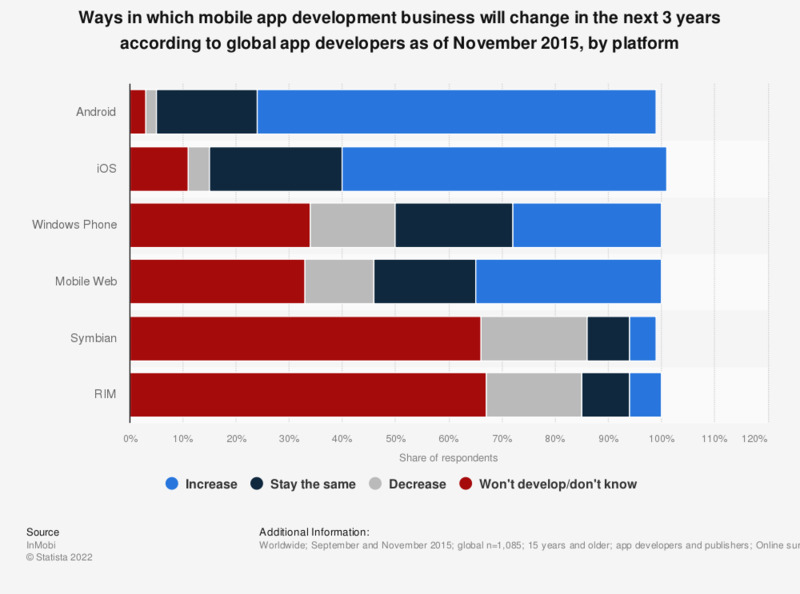 This statistic illustrates ways in which mobile app development business will change in the next 3 years according to global app developers as of November 2015, sorted by platform. According to the industry survey, 75 percent of responding app developers expected to increase their business for the Android platform in the next three years. Original question: How will your mobile app development business for these platforms change in the next 3 years?.